How do you make a formidable private collection a valuable cultural resource for future generations? Over the last decade the Piramal Collection has grown to be one of the most significant collections of 19th and 20th century art from India. 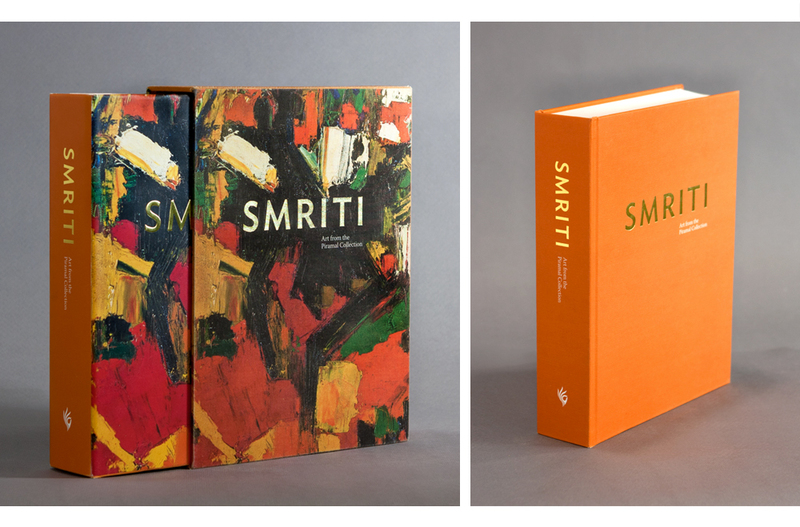 Keen to make this formidable collection of paintings and sculpture available to artists, academics and students alike, the Piramal Art Foundation chose to work with Kahani to design and produce their landmark book Smriti: Art from the Piramal Collection. Collaborating closely with the editorial team, we created a simple, interlinked information architecture that would allow the book to be used for research and in-depth referencing. At the same time, spacious layouts placed a clear focus on the art. The book serves as an object of study and and also offers a space for quiet appreciation of the rare works of it exhibits, many of which have been published for the first time. At every step, our effort remained to create a worthy object that would live and thrive in the libraries, schools and colleges to which it will be distributed. Printed on archival paper and bound for durability, it is hoped that this publication is a valuable contribution to the practice and study of art produced in India. It has been a project that brought us a great deal of learning at the studio and renewed our own appreciation for India's artistic heritage.